Secret finally toppled Virtus Pro at a DPC event. After three-straight series losses to Virtus Pro in Dota Pro Circuit events, Team Secret were ready to finally change the narrative in The Chongqing Major grand finals. After taking down Evil Geniuses in the lower bracket finals, Secret moved into the grand finals to face not only the team who bested them in the upper bracket finals, but the same squad who also beat them in both the upper bracket and grand finals of The Kuala Lumpur Major: Virtus Pro. The key point of this match came from Secret’s outstanding teamwork and the outstanding play of Yazied “YapzOr” Jaradat. Secret took game one in a very dominant fashion behind a 7-0-7 performance from Michał “Nisha” Jankowski, which led into the backbreaking second game. Momentum was completely on Secret’s side and that led to YapzOr getting a little risky with his hero pick. Reaching deep into his bag of tricks, YapzOr pulled out a support Luna that helped Secret earn the fastest victory of the entire Major. In just 17 minutes, YapzOr posted four kills and 16 assists to help his team jump out to a dominating lead. In a post-match interview with VPEsports, YapzOr talked about his choice to take Luna for a spin against one of the top teams in the world. Luna is sitting at 54th on the DotaBuff ranking boards. She’s a very situational hero who has skills that benefit a well-timed pick to catch opponents off guard as a support and to help manage player positioning. Despite failing to close things out after the high-leveled performance on a lesser-played hero, YapzOr and Ludwig “zai” Wåhlberg put on a show in the final two matches. In game three, they combined for 15 kills and 33 assists—but that wasn’t enough to counteract Vladimir “No[o]ne” Minenko’s 15-4-12 statline for VP. 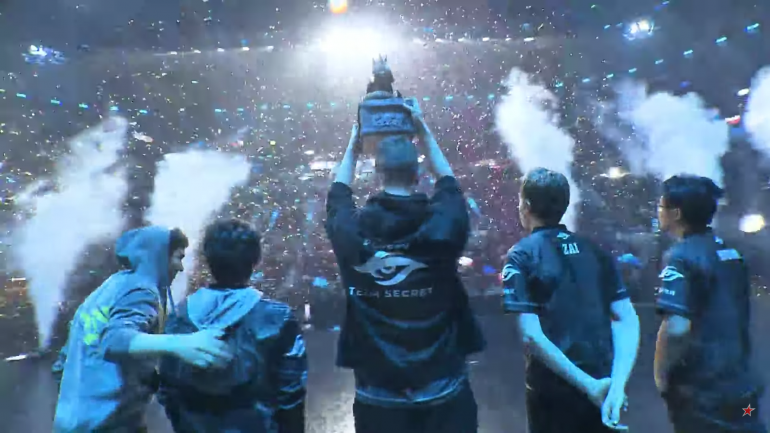 Even with that loss weighing on them, YapzOr and zai led their team to the victory by combining for nearly 40 assists—which helped Secret hoist their first trophy of the 2018-19 DPC season. Secret are now tied with VP for first place on the DPC ranking board with 7,950 points per team, while third-place EG hold a solid lead over the rest of the pack with 4,200 points. VP, Secret, and EG are the only teams to reach the podium thus far in the DPC season. The next DPC event will be the StarLadder ImbaTV Invitational Season Six, a Minor that will run from March 4 to 10.